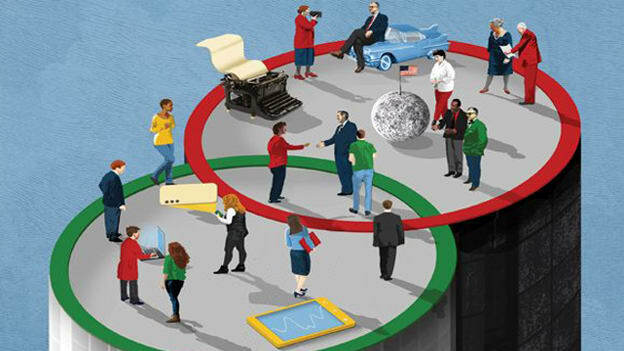 Can technology bridge the growing divide between a multi-generation workforce? Simply put, it means the great divide already exists between each generation. Cut to technology and the divide becomes even bigger. You’d agree because we know it has affected workflow, communication method, and team management. For instance, the older employees (Baby Boomers and Gen X) may find it distracting to take notes on phone during a meeting but for the millennials, which according to a report by the U.S. Bureau of Labor Statistics is expected to make up 75% of the workforce by 2030, it’s the preferred method. So does that imply the older generation is resistant to change and want to stick to old ways? Or that the younger lot needs no handholding? As a matter of fact, technology should be treated as a binding element to make them work as a team. It is what will bridge the gap between them, whether it is skills-related or communication. Let’s now discuss how you can use technology to make cohesive teams. Constantly worrying about how you’re going to get each generation to work as a team will not help. What’s worse is that this tension could spill over and result in more differences. Study the demographics of your workforce and develop policies that are favorable to each generation. Repeat every year. 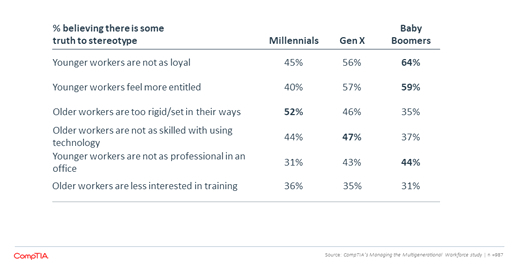 Once you create this culture of inclusiveness, neither will Gen X and Baby Boomers worry about ‘not being able to match-up to the technology-driven work demands and the new age workforce’ nor will the millennial generation walk around as impatient, know-it-all snobs. Each generation comes with a set of unique strengths. Consider it as an opportunity to accelerate the knowledge flow. Pair them for projects that need different levels and kinds of expertise. The more experienced lot can teach the younger lot about leadership and strategizing and the latter share their expertise related to technology. For example, communication tools like Slack, Hangouts, and video conferencing. With a peer learning program in place, they will overcome the various stereotypes they believed in and look forward to collaborating with each other. Let me put it this way: every generation has a different attitude towards technology. And when the time comes to announce the rollout of a new technology you will feel the tremors. The millennials will be thrilled because they thrive in a technology-driven environment whereas the older workforce will be overwhelmed. What’s the best way out? Communicate the rollout in phases. It’s a way to show you treat everyone equally. Provide training and encourage them to ask questions. Let them know that not being tech-savvy isn’t a sin and that they can get better if they open themselves to new, challenging experiences/time. Let’s start looking at technology as an enabler, not an impossible-to-overcome hurdle. Remember that the end goal is to create a work culture that embraces the qualities of every generation. That’s because we can’t do without the swiftness of a millennial, the calm demeanor of Gen X and the leadership penchant of Baby Boomers.